When brain injury is caused by someone else’s negligence (even a doctor’s), victims may be entitled to financial compensation for their damages. The human brain requires a constant supply of oxygen. Any interruption to that supply — even if it is only partial or temporary — can cause serious, debilitating, or life-threatening complications. When the brain’s oxygen supply is completely cut off, it’s called anoxia. If the brain is still getting some oxygen but not enough, it’s called hypoxia. What Is a Hypoxic-Anoxic Injury? Doctors tend to talk about these two conditions together, referring to them collectively as a hypoxic-anoxic injury (HAI). That’s because hypoxia can quickly lead to anoxia, so doctors need to take urgent action to prevent further oxygen deprivation in either situation. Why so urgent? Oxygen makes its way to the brain through blood. Brain cells can die in as little as four minutes without adequate blood flow, resulting in permanent brain damage. Complications may include life-long disability or death. Given the emergent nature of any interruption to cerebral blood flow, health care providers should initiate treatment immediately — and take careful measures to avoid anoxic brain injury in the first place whenever possible. Because the heart is responsible for pumping a fresh supply of healthy blood throughout the body on a regular basis, any condition that threatens heart health (including heart disease, heart attack, and cardiac arrest) can lead to an anoxic brain injury. Similarly, many strokes are caused by a blood clot in the brain, which can starve the affected area of oxygenated blood. Pulmonary embolisms (blood clots in the lungs) can also travel to the brain and threaten blood supply. 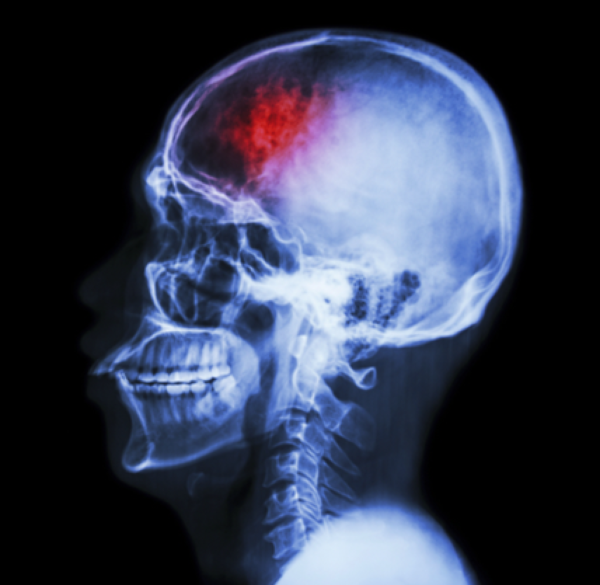 Was Your Anoxic Brain Injury Caused by Someone’s Negligence? Know Your Rights. Talk to a Maryland Personal Injury Lawyer at D’Amore Law. Have you suffered from hypoxia or anoxia after a car crash or another accident caused by someone else’s negligence? Have you or someone you loved suffered as a result of an anoxic brain injury that was caused by (or made worse by) a doctor’s negligence? Or do you believe your HAI might be related to errors by your anesthesiologist? If so, you may be entitled to compensation for the losses you’ve experienced, as well as for any long-term health problems you might face in the future. An experienced Maryland personal injury lawyer can help. At D’Amore Law, we fight hard to get unfairly injured people and patients the financial justice they deserve. We proudly represent people throughout the state of Maryland, including Baltimore, Annapolis, and Washington, D.C.
To talk about your rights and options with an attorney in our office, simply call 1-800-JUSTICE or contact us online to schedule a free, no-obligation personal injury consultation today.